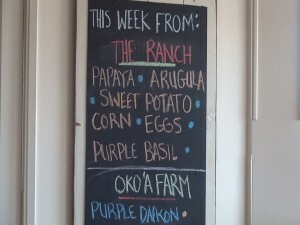 Hāna Ranch Provisions. Let’s break it down. 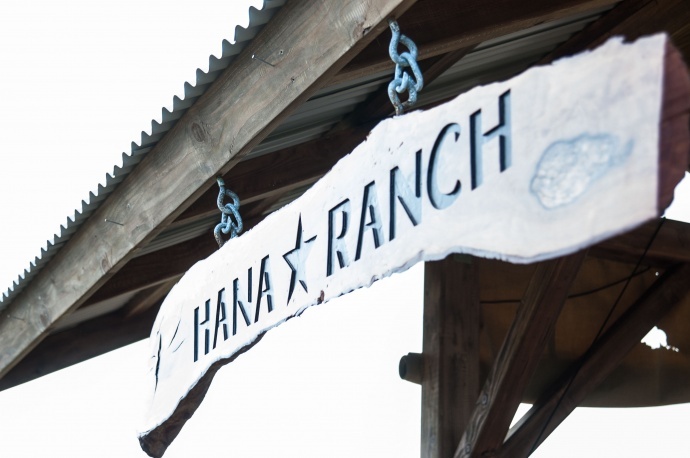 Hāna Ranch: Originally created in the 1940’s as part of a 14,000-acre development for cattle ranching and a hotel. Bought by Hāna Ranch Stewards, LLC. in January 2014, and currently includes about 3,600 acres on the mauka (mountain) side of Hāna Highway. Provisions: Something that is provided or supplied for use. To supply with food, drink, or equipment, especially for a journey. Hāna Ranch is definitely on a journey. And so are the cows. On a daily basis, in fact. “Usually they move once a day, so there’s a lot of movement going on. 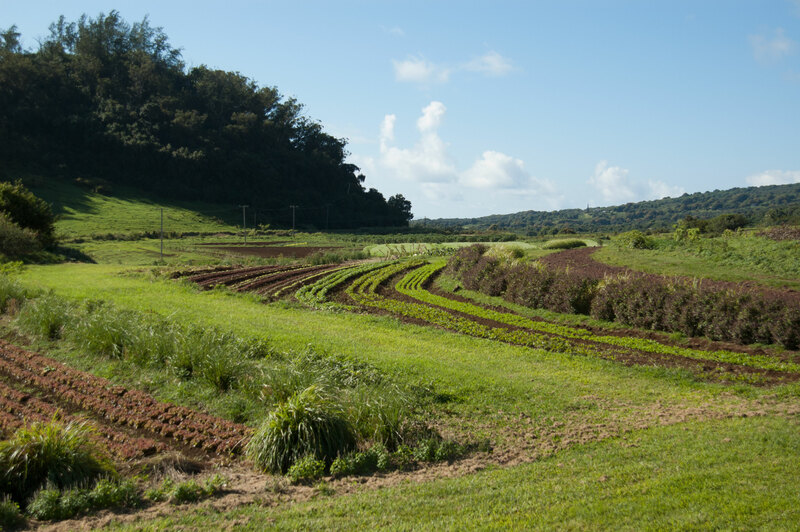 The paddocks are the entire ranch,” says Hospitality and Retail Manager Morgan Maki with Bio-Logical Capital, LLC., the company that manages the ranch on behalf of Hāna Ranch Stewards. The beef cattle are grass-fed and grass-finished, but they’re not roaming freely on the range. Why? Maki says research shows cattle kept in closer quarters, like enclosed paddocks, will compete more for food. That means they eat the grass faster, so it grows faster. And when that grass is competing with the wild, wily weeds of Hāna, the process takes time, patience and even homework. Many questions, and the answers are still being ironed out at Hāna Ranch. As Maki says, they’re doing “a lot of listening to nature.” But the priorities are clear: creating a sustainable ecosystem, diverse landscape and thriving local workforce. Some employees are working in ways they didn’t expect. 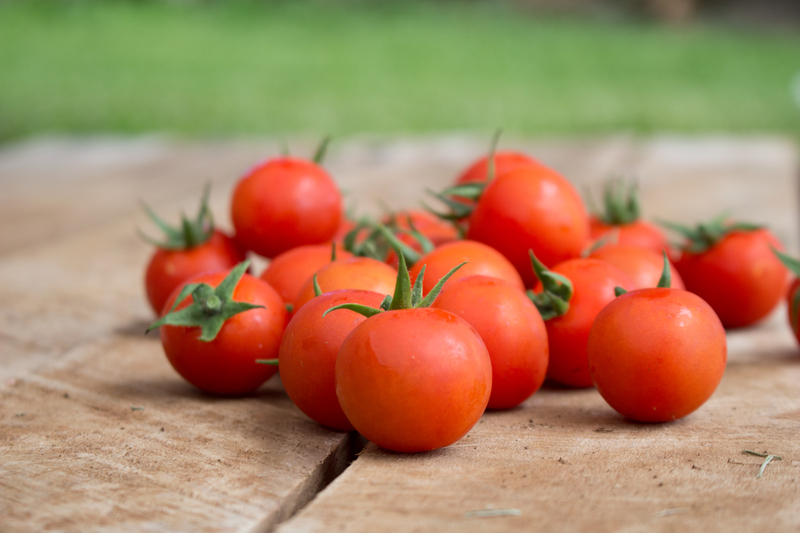 Many of the paniolo (cowboys) who were used to wrangling cattle are also tending fruits and vegetables, since the organic farm started up on the ranch in early 2014. Along with bigger orchard species like avocado, citrus and ʻulu (breadfruit), which will take several years to bear fruit, Hāna Ranch has a bounty of produce that’s doing just that: producing. And that brings us to the restaurant, Hāna Ranch Provisions, at 71 Baldwin Avenue in Pāʻia. 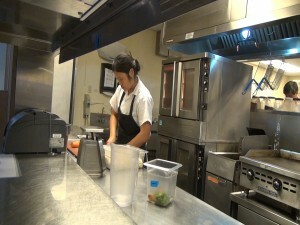 It opened in August, showcasing its ranch-raised beef, local fish and organic produce. 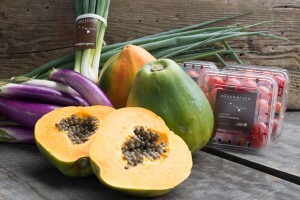 About half of the fruits and vegetables – currently including papaya, sweet potato, lettuce, chard, bok choy and herbs – are delivered twice a week from the farm in Hāna; the other half come from local farmers who share in the vision for a collaborative, sustainable food system on Maui. 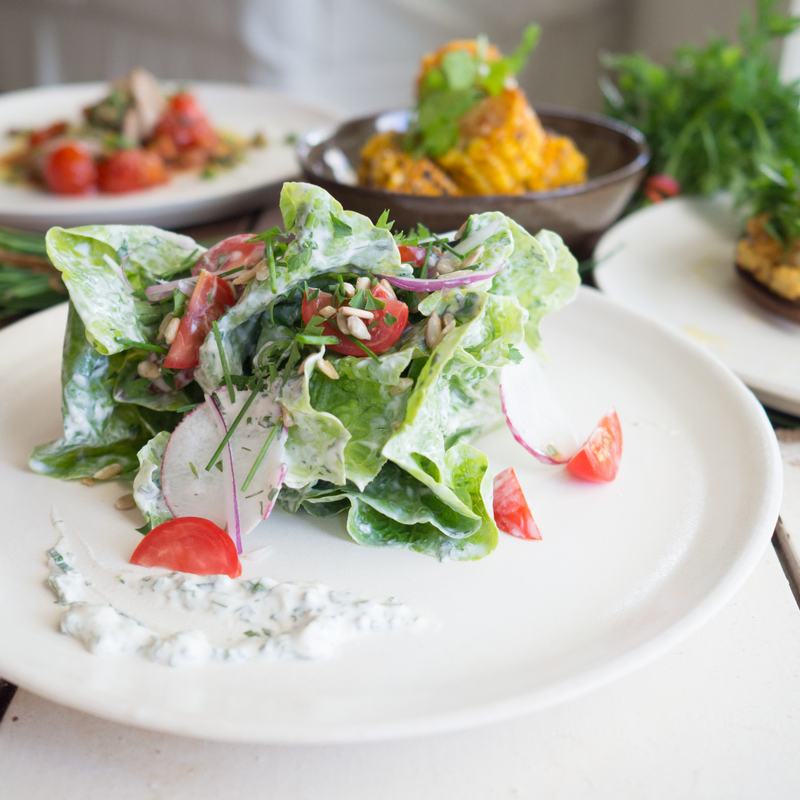 Fresh produce at Hāna Ranch, from the organic farm. Photo courtesy of Hāna Ranch. Multiple menus at Hāna Ranch Provisions in Pāʻia. Photo by Kiaora Bohlool. Menu offerings at Hāna Ranch Provisions in Pāʻia. Photo courtesy of Hāna Ranch. Cherry tomatoes from the organic farm at Hāna Ranch. Photo courtesy of Hāna Ranch. 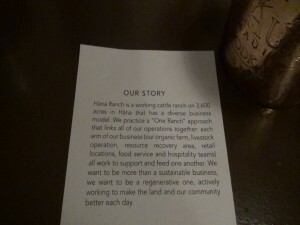 A summary of the Hāna Ranch story at Hāna Ranch Provisions in Pāʻia. Photo by Kiaora Bohlool. 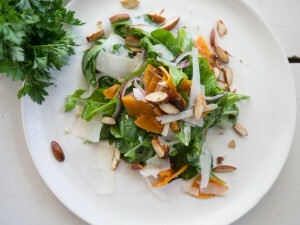 Salad at Hāna Ranch Provisions in Pāʻia. Photo courtesy of Hāna Ranch. Hāna Ranch landscape. 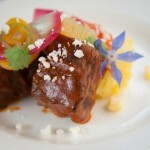 Photo courtesy of Hāna Ranch. Prep work in the kitchen at Hāna Ranch Provisions in Pāʻia. Photo by Kiaora Bohlool. 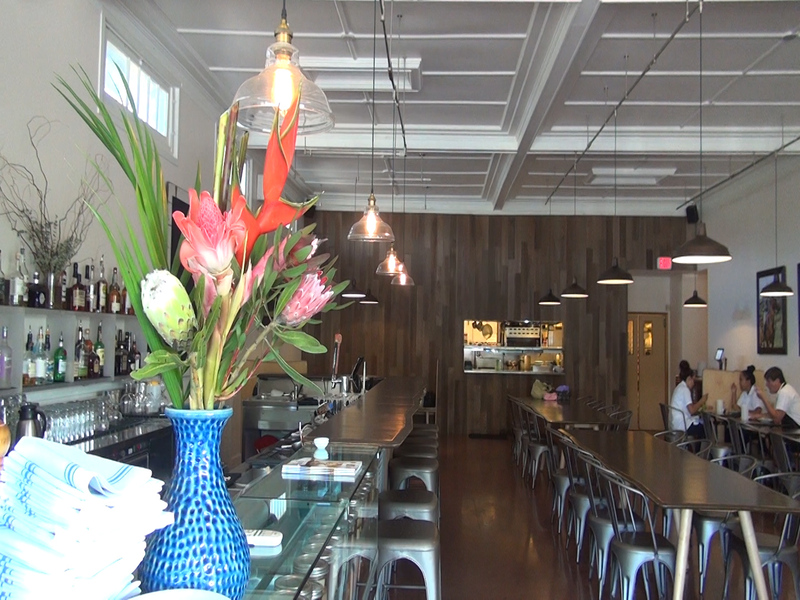 Dining room at Hāna Ranch Provisions in Pāʻia. Photo by Kiaora Bohlool. 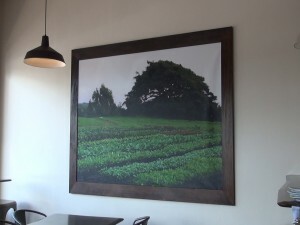 Ranch photo on the wall at Hāna Ranch Provisions in Pāʻia. Photo by Kiaora Bohlool. 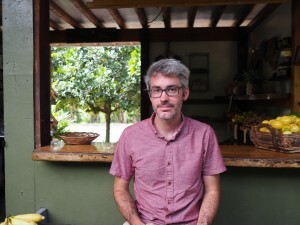 Morgan Maki, Hospitality and Retail Manager at Hāna Ranch Provisions in Pāʻia. 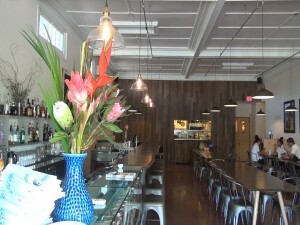 Bar area at Hāna Ranch Provisions in Pāʻia. Photo by Kiaora Bohlool. 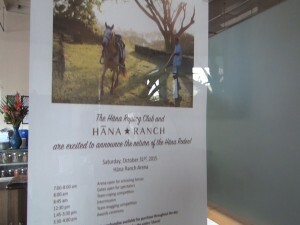 Oct. 31 Hāna Rodeo flyer, posted at Hāna Ranch Provisions in Pāʻia. 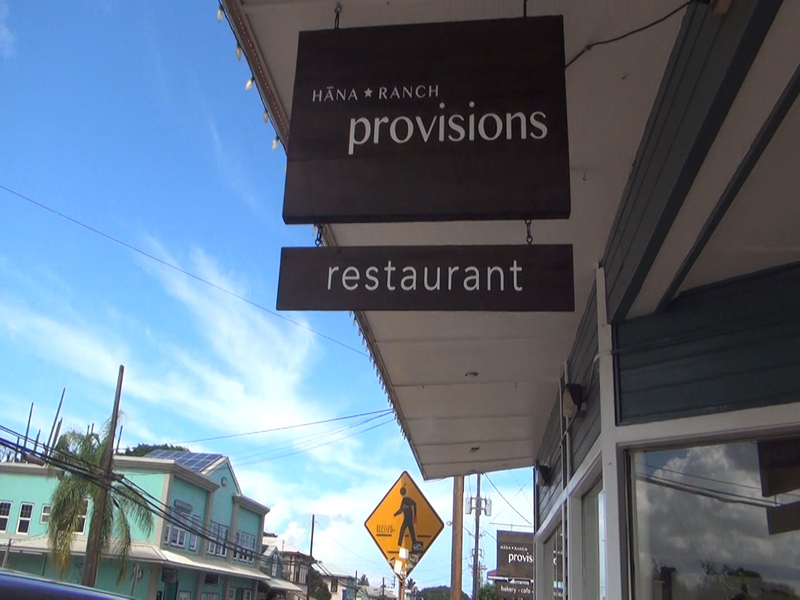 Grab-and-go coffee and pastry counter at Hāna Ranch Provisions in Pāʻia, open 7 a.m. to noon. Photo by Kiaora Bohlool. The evolving list of farm-fresh produce at Hāna Ranch Provisions in Pāʻia. Photo by Kiaora Bohlool. 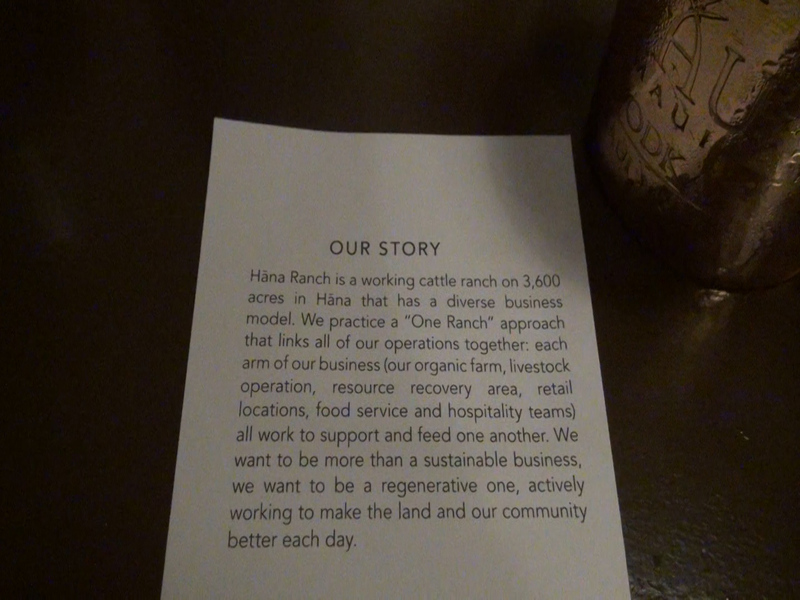 There’s also collaboration between the employees in Pāʻia and those in Hāna, with employee luncheons and ranch visits to strengthen the bond between the company’s 55 employees. Maki says team building and staff retention are core goals. Some ranch employees have been putting in extra hours recently, with the zeal and dedication that comes with rebuilding a tradition by hand. The rodeo is returning to Hāna! Maki learned from locals that the rodeo used to be a highlight of the year for East Maui residents, who were saddened when it disappeared many years back. He was determined to fix up the ranch’s aging arena and bring the rodeo back to the community. Cowboys and crowds are getting ready for the big event on Saturday, October 31st. You can learn more here. The restaurant is really considered an extension of the ranch, but Hāna Ranch Provisions has been carving out its own identity in Pāʻia town, on the other side of (what many know as) the Mana Foods parking lot. 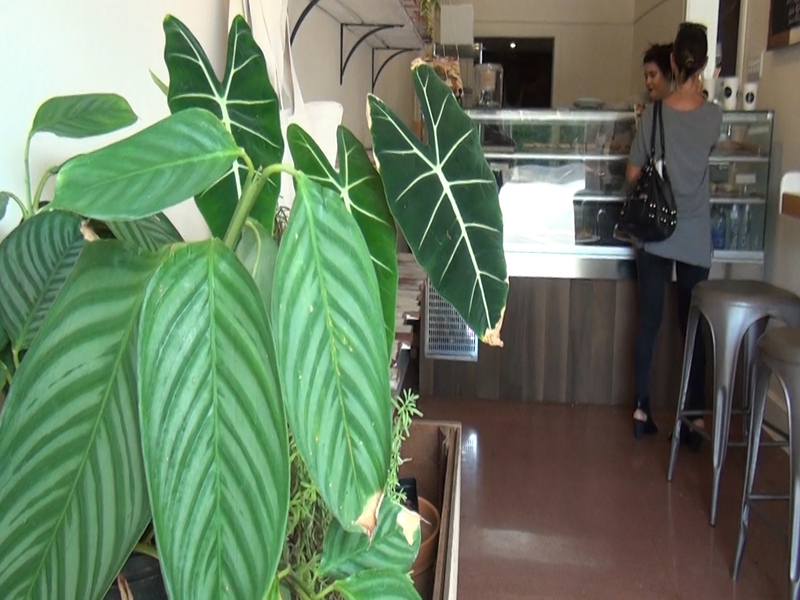 There’s a quick-service counter with coffee and freshly-baked goods open from 7 a.m. to noon, in a nook next to the restaurant. 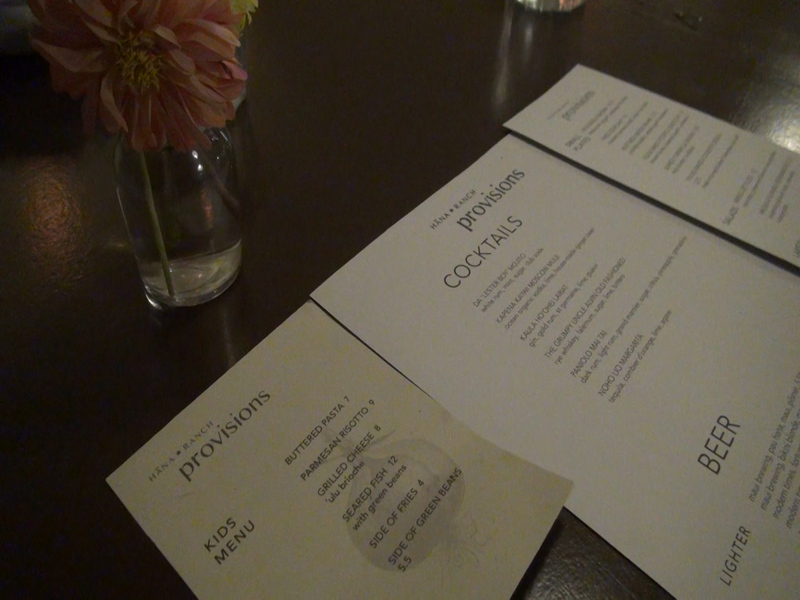 The dining room attracts a vibrant, mostly local crowd between 5 and 9 p.m. every night. 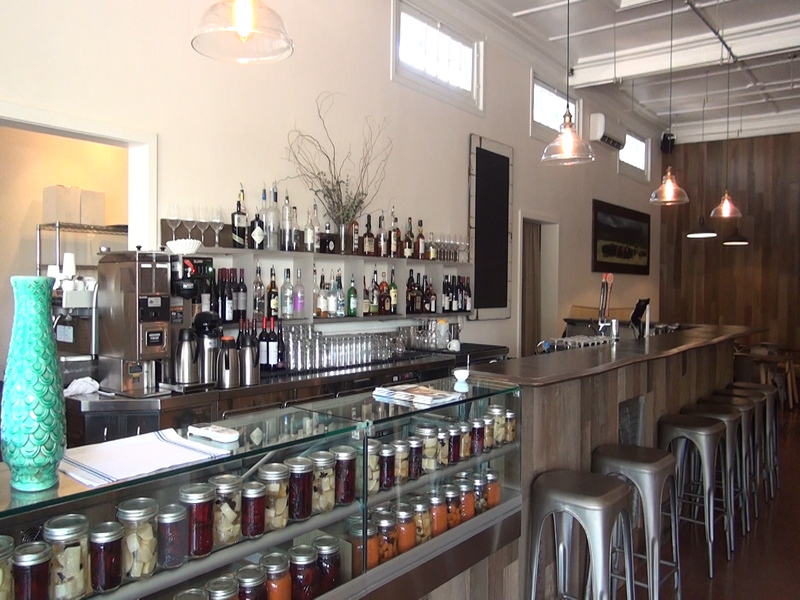 There are plans to expand hours for lunch during the week, then brunch on weekends. 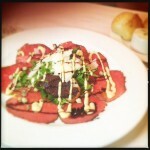 Happy hour runs from 5 to 6 p.m., with a smaller, discounted menu of drinks and appetizers. 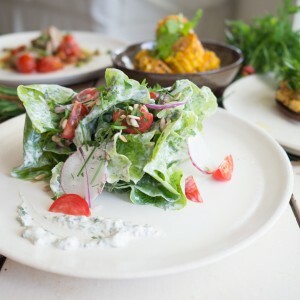 The restaurant also recently started a kamaʻāina night on Thursdays, available through the whole dinner service, with 10% off the entire bill for residents. Maki says he believes the North Shore is the right spot for this restaurant, but adds that it’ll take a much larger network to focus in on the bigger picture: making our islands more self-sufficient and sustainable. 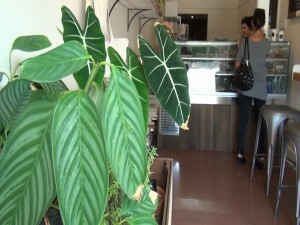 According to Bio-Logical Capital, Hawai’i currently imports more than 90% of its energy and 85% of its food.